U2 cancelled their scheduled September 16 concert at the Dome At America's Center in St. Louis. MO over security concerns as protests in the Midwest city erupted following news that a white former police officer had been acquitted in the 2011 shooting of a black driver. "We have been informed by the St. Louis Police Department that they are not in a position to provide the standard protection for our audience as would be expected for an event of this size,” said U2 and promoters Live Nation in a joint statement on Saturday. “We have also been informed that local crowd security personnel would not be at full capacity. “In light of this information, we cannot in good conscience risk our fans’ safety by proceeding with tonight’s concert. As much as we regret having to cancel, we feel it is the only acceptable course of action in the current environment." Fans who purchased tickets online will receive a refund on the credit card tickets were ordered on. Refunds for non-internet purchases will be available starting September 18 at 10am at point of purchase. CNN reports protesters in St. Louis blocked highways and threw rocks at the mayor's house Friday after white former police officer Jason Stockley was acquitted in the 2011 shooting death of black driver Anthony Lamar Smith. After the verdict, protesters and activists gathered outside the courthouse and marched through the city's downtown for hours. At least 23 people were arrested and four police officers were assaulted in incidents on Friday, and protests continued throughout the weekend. 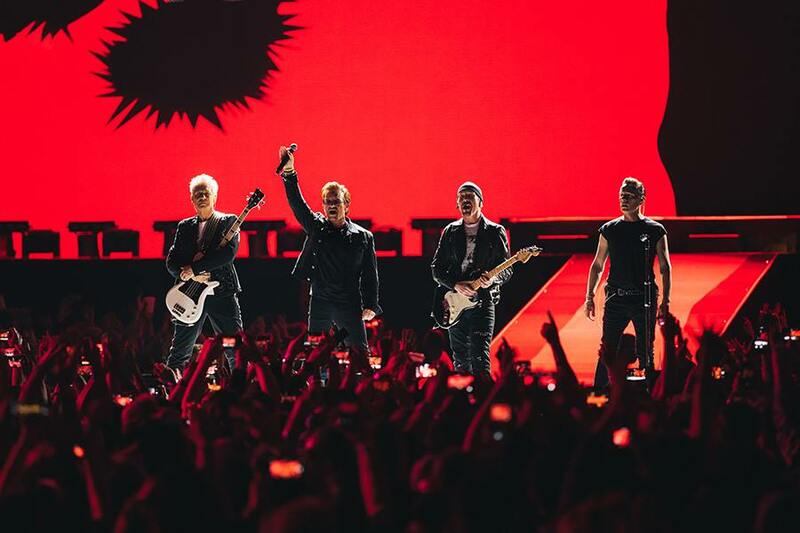 The St. Louis stop was to be one of the final dates on the North American leg of U2’s 30th anniversary tour of “The Joshua Tree”, with shows set to wrap up in San Diego, CA on September 22. The band will perform in Mexico City next month before heading to South America for more concerts, including a four-night stand at Morumbi Stadium in Sao Paulo, Brazil.